Zev Yaroslavksy says a massive new development would also have negative effects on the greater Beverly-Fairfax area. 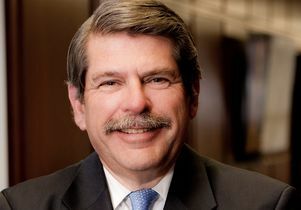 Zev Yaroslavsky is director of the Los Angeles Initiative at the UCLA Luskin School of Public Affairs. The column originally appeared in the Los Angeles Times. The complex remains a key production center for the American television industry today. But in recent months, CBS has been marketing the 25-acre campus to prospective buyers. The property could reportedly go for as much as $900 million, or more than $800 per square foot. At that price, the only way any developer could make a project “pencil out” would be to persuade the city to increase the amount of building space it currently allows on the site. By my calculation, a developer would need to get these building rights upped by as much as 200 percent. What becomes of Television City is a citywide concern as much as it is a neighborhood one. Los Angeles should not let developers turn the historic studio complex into a mini Century City. For starters, movie and television production is our hometown industry. At the moment, production facilities are already in great demand. The nonprofit Film L.A. recently reported that studios and soundstages in the greater L.A. area had an average occupancy rate of 96 percent in 2016, most of them with television production. The loss of valuable production space would drive thousands of well-paying jobs to other parts of the region, or out of California entirely. No rational city would allow its employment and economic base to shrink without a fight. Television City is architecturally significant. Designed by William Pereira, who also designed the pyramid-shaped Transamerica building in San Francisco, the complex is one of L.A.’s most significant representations of the mid-century modern “Corporate International” architectural style. It has a distinctive, campus feel, owed in part to the way its office building and soundstages are set back along the north and west sides of the property. The Original Farmers Market, one of the city’s oldest institutions and most beloved tourist attractions, is right next door. Access to the market would be constrained by any sort of mega-development, making it far more difficult for its vendors and shops to survive. A massive new development would also have negative effects on the greater Beverly-Fairfax area, a culturally historic neighborhood in its own right. Rising property values and heightened real estate speculation would put its characteristic apartment buildings at risk and potentially displace hundreds of renters. Moreover, the area has already been intensely developed. It’s home to two of the city’s most popular shopping malls, the Grove and the Beverly Center. Streets on the neighborhood’s west side are among the city’s most congested. Some intersections are so clogged that, during peak traffic hours, it can often take 20 minutes to traverse a one-mile stretch of a main thoroughfare. Adding thousands of additional daily vehicular trips to this corridor would be insane. L.A. is in the throes of yet another real estate boom. Low interest rates and a city government generous with development approvals may give investors reason to hope they could obtain greater building rights for Television City. For this reason, the city should lay out coherent parameters for any future development of the property now, before the bidding begins in earnest. Ambiguity will only raise investor expectations to unrealistic levels, sowing the seeds for a zoning battle and, possibly, lawsuits that could take years to resolve. Mayor Eric Garcetti, along with council members David Ryu and Paul Koretz, who represent this area, should make clear to CBS and any prospective buyers that preservation of the production facilities is a top priority for L.A. The city should also seize the moment and declare the complex a historic site. An extensive list of classic shows were taped there — variety programs, dramas, soap operas, quiz shows and even a few presidential debates. Some of the most cherished names in entertainment history have walked its halls and entertained from its stages. These historic studios should be designated as such. Where historic and architecturally significant buildings are not an issue — along the south and east sides of the CBS campus — the city should consider allowing residential development. Affordable housing would be a welcome addition there, and embraced by community stakeholders. Such development would generate only a fraction of the peak-period traffic associated with a comparable commercial building. And since that part of the property doesn’t abut any other residences, it would even be possible to build taller and denser apartment buildings. Regardless of who ultimately owns it, Television City must live on. It has long been important to L.A. and a good neighbor in the area. We should preserve this economic asset and historic treasure now. 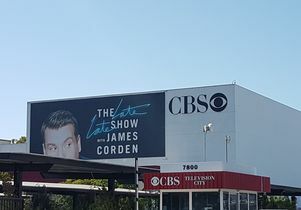 CBS Television City in Los Angeles. vagueonthehow/Flickr. Creative Commons 2.0.